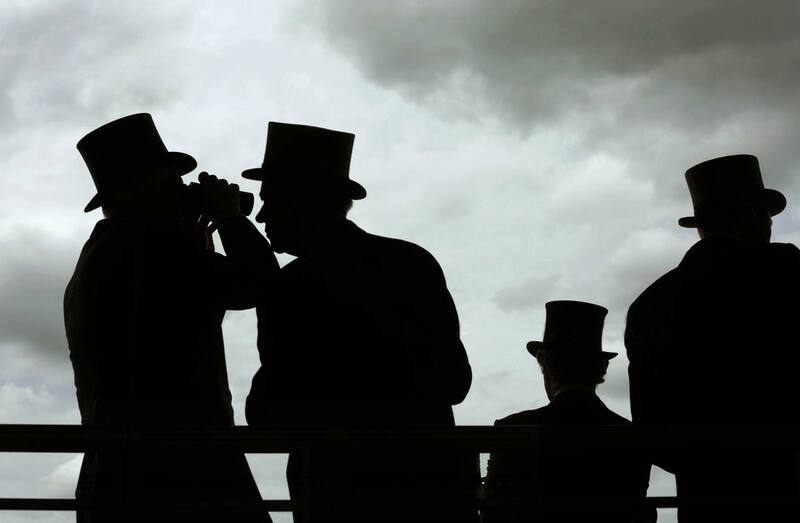 Royal Ascot.Berskhire. England. June 2009 Racegoers watching the race from the Royal Enclosure, where formality and a strict dress-code is enforced.